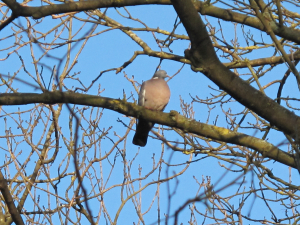 Observation - Woodpigeon - Linford Wood - UK and Ireland. Description: quite difficult to photograph considering they are so common, very shy, due to shooting in the area? quite difficult to photograph considering they are so common, very shy, due to shooting in the area?